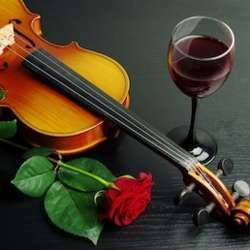 You are invited to a very special evening of wine and chamber music. You can pair the evening’s musical delights with a tasting from Zoetic Wines and bring your own choice of light bites or dinner from one of the many amazing food trucks at Off the Grid, just across the street. Wine tastings are priced at $10.00 for four wines. Wine is also available for purchase by the glass or bottle and tasting fee will be waved with bottle purchase. Street parking is available, but can be difficult on Friday evenings. Public transport, Uber, Lyft recommended.